It seems Mr. Heart and I don't have much luck when seeking warmer weather. We packed up and headed to Florida several times this past summer. there was no need for a bathing suit or sunglasses. We tried again last week. We packed up again and as we crossed the Florida state line it began to rain. The rain finally stopped but it was sweater and scarf weather...c-h-i-l-l-y! at least it wasn't in the teens like it was back home or snowing like in so many areas! Great features Cindy! 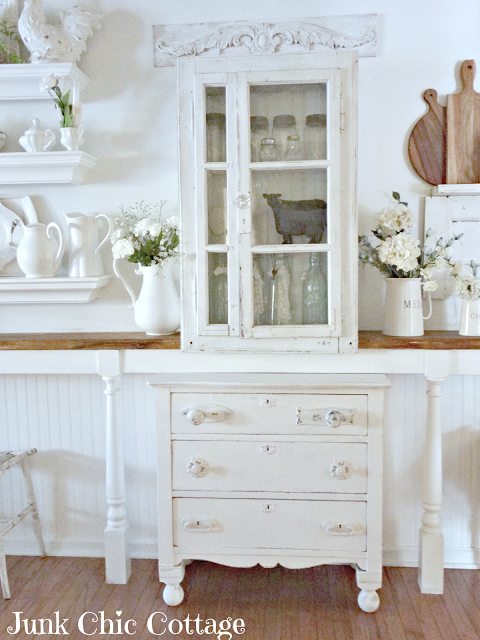 I love, love, love that Farmhouse kitchen! Great features! 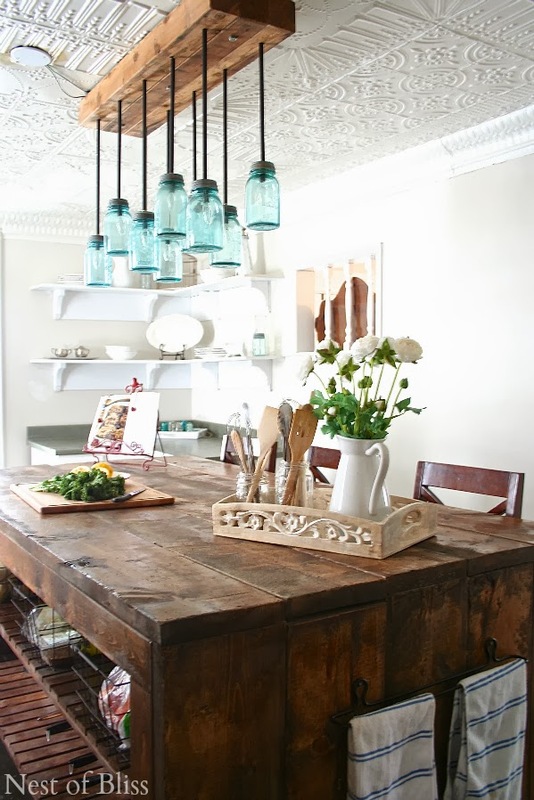 I adore the ceiling in that farmhouse kitchen! Thanks for hosting, Cindy! Sorry to hear about that rainy, chilly weather you weren't hoping for on your way to Florida. Hopefully, the next time you venture out that way, it will be sunny and bright! Wonderfully inspiring features, this week. Thanks so much for hosting and have a great week ahead. Cindy, I especially love Kris' kitchen re-do. So sorry your week in FL wasn't as ideal as you'd hoped. Thanks for hosting again - I'm sharing my love of vintage linens this week, with some great tips. Have a great week! Happy Sunday to you, Cindy. Love the kitchens! Thanks for hosting us, Cindy! Cindy thanks so much for hosting! Happy Sunday! Thanks for hosting and the great features! LOVE your features - and thank you for hosting. It is nice to have something totally amazing to share with you all this time around. Cindy, it was snowing here on Friday, then the weekend has been sunny and 70s. Sorry to hear your weekend was rainy and chilly. You just should have headed west, Cindy, for some 75ish temps! Thanks so much for hosting! Lovely features! Thanks for hosting a fun party! :) I added your party to our list of parties! Cindy, thanks for hosting another fun party! Thanks for hosting a party! This is my first time here but will not be my last. Love your blog. Have a wonderful week! Ooops, so sorry. I meant, Cindy and not Kathryn. Sweet features! Thank you for hosting! thanks so much for hosting, Cindy, love the features! P.S. Farmhouse kitchen did an outstanding job with their redo. Love the tin ceiling, and the improvement with the floors! Always love your amaze me monday! Thank-you for hosting. Love the poster in your first feature. Thanks so much for hosting the party.